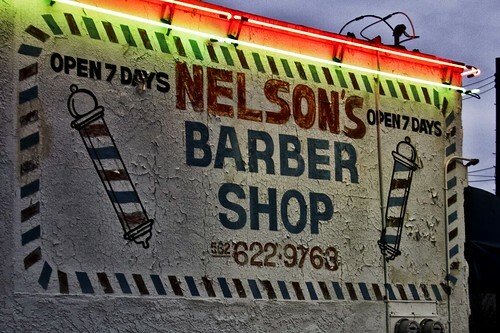 I've started noticing all the barber shops I never noticed before. One of the things they all seem to have in common is that they are basic (oh yeah, and they all have the striped barber poles). They all seem to say: Barber shop, stop in, get a cut....no frills. For guys, it's just a hair cut. The place I get my hair cut is a salon with a beauty supply attached. You can get a massage, facial, a variety of relaxing treatments, and your nails done. In addition, there is usually some kind of refreshment. I look forward to getting my hair done, it's relaxing and the atmosphere is artsy and fun. I've come to the conclusion that—in general—guys must not feel the same way about getting a cut. 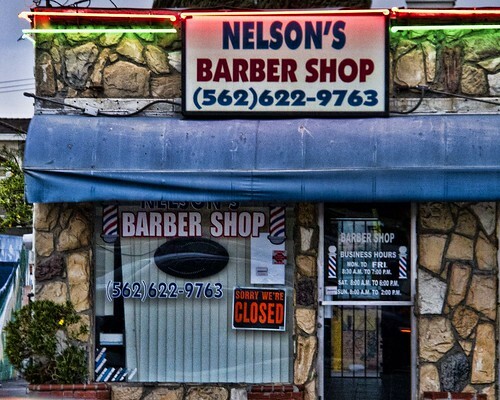 See my last Barber Shop post from earlier this month.